The second of this month’s digitally restored Joan Crawford reissues is this classic from director George Cukor (The Philadelphia Story, Adam’s Rib), notable for every one of its over 130 speaking roles being played by women. 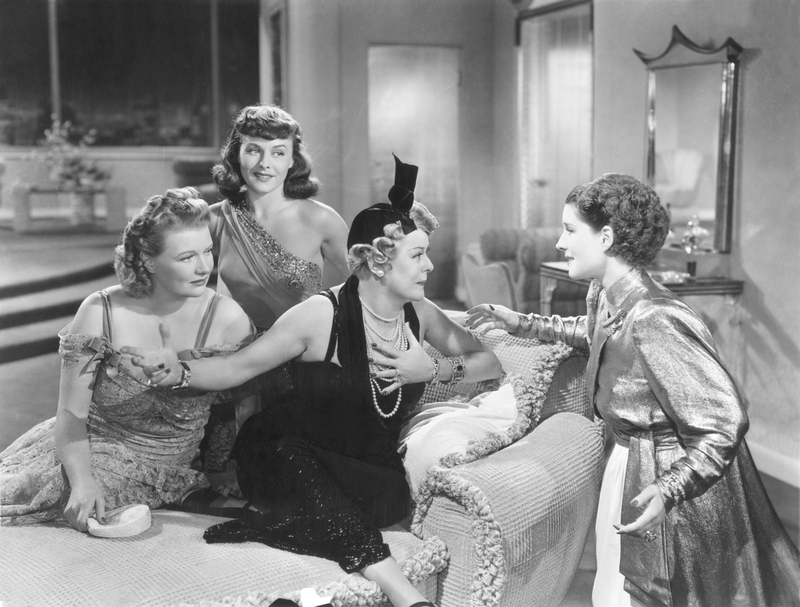 Centering on the lives and complicated loves of a group of Manhattan women, it stars Norma Shearer as Mary Haines, a contented wife and mother who discovers that her husband is having an affair with perfume counter girl Crystal Allen (a wonderfully scheming, venomous Crawford), leading Mary to seek a divorce in Reno. 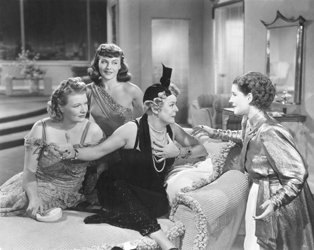 While there, Mary meets women in similar predicaments, including Paulette Goddard and Joan Fontaine, all of whom come to realise the web of marriages and affairs in which they are caught. Ultimately, Mary is inspired to fight to reclaim her marriage in this deftly directed and engaging comedy.